Old Globe Playwright-in-Residence Matthew Lopez’s poignant new play is about one family’s attempt to make its fantasy a reality. 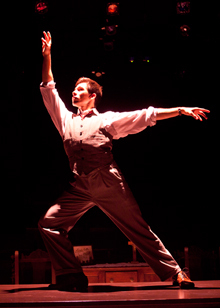 Gorgeous dance sequences are woven throughout the play and help to tell the story of Inez Candelaria and her three children’s dream of a life in show business. With their building scheduled for demolition and their life together beginning to crumble, the filming of West Side Story on the streets of their soon to be abandoned New York City neighborhood brings reality finally into focus. A World Premiere. Priscilla Lopez as Inez Candelaria and Jon Rua as Alejandro Candelaria in the World Premiere of Matthew Lopez's Somewhere, directed by Giovanna Sardelli, Sept. 24 - Oct. 30, 2011 at The Old Globe. Photo by Henry DiRocco. 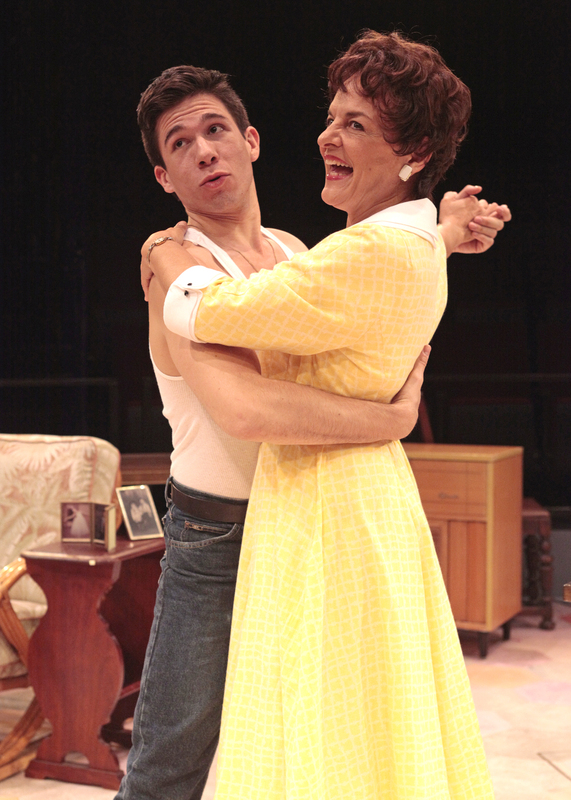 (from left) Priscilla Lopez, Jon Rua, Benita Robledo and Juan Javier Cardenas in the World Premiere of Matthew Lopez's Somewhere, directed by Giovanna Sardelli, Sept. 24 - Oct. 30, 2011 at The Old Globe. Photo by Henry DiRocco. (from left) Leo Ash Evens as Jamie MacRae and Jon Rua as Alejandro Candelaria in the World Premiere of Matthew Lopez's Somewhere, directed by Giovanna Sardelli, Sept. 24 - Oct. 30, 2011 at The Old Globe. Photo by Henry DiRocco. 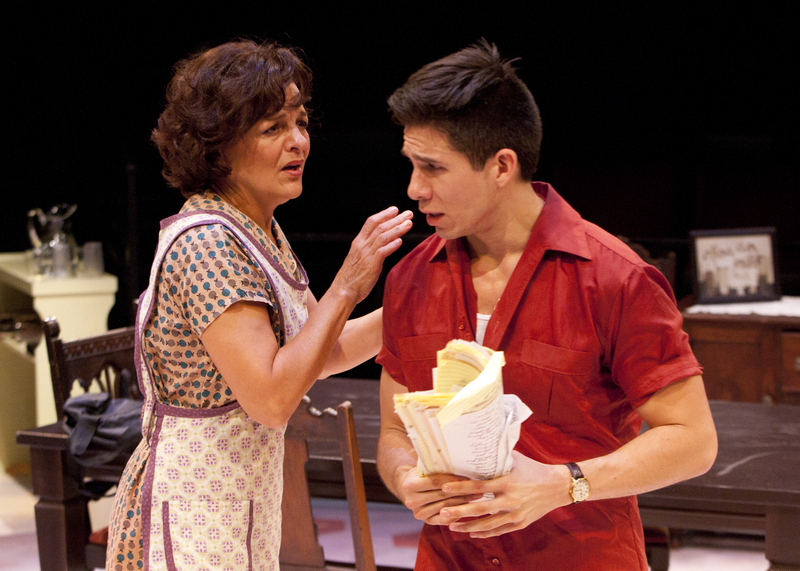 Jon Rua as Alejandro Candelaria and Priscilla Lopez as Inez Candelaria in the World Premiere of Matthew Lopez's Somewhere, directed by Giovanna Sardelli, Sept. 24 - Oct. 30, 2011 at The Old Globe. Photo by Henry DiRocco. 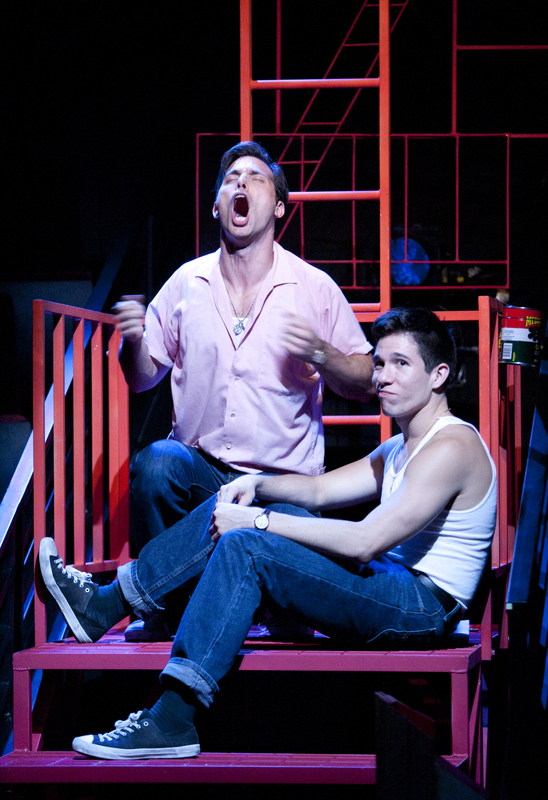 (from left) Juan Javier Cardenas as Francisco Candelaria and Jon Rua as Alejandro Candelaria in the World Premiere of Matthew Lopez's Somewhere, directed by Giovanna Sardelli, Sept. 24 - Oct. 30, 2011 at The Old Globe. Photo by Henry DiRocco. Jon Rua as Alejandro Candelaria in the World Premiere of Matthew Lopez's Somewhere, directed by Giovanna Sardelli, Sept. 24 - Oct. 30, 2011 at The Old Globe. Photo by Henry DiRocco. Priscilla Lopez as Inez Candelaria in the World Premiere of Matthew Lopez's Somewhere, directed by Giovanna Sardelli, Sept. 24 - Oct. 30, 2011 at The Old Globe. Photo by Henry DiRocco. Juan Javier Cardenas as Francisco Candelaria in the World Premiere of Matthew Lopez's Somewhere, directed by Giovanna Sardelli, Sept. 24 - Oct. 30, 2011 at The Old Globe. Photo by Henry DiRocco. Benita Robledo as Rebecca Candelaria in the World Premiere of Matthew Lopez's Somewhere, directed by Giovanna Sardelli, Sept. 24 - Oct. 30, 2011 at The Old Globe. Photo by Henry DiRocco. Leo Ash Evens as Jamie MacRae in the World Premiere of Matthew Lopez's Somewhere, directed by Giovanna Sardelli, Sept. 24 - Oct. 30, 2011 at The Old Globe. Photo by Henry DiRocco. 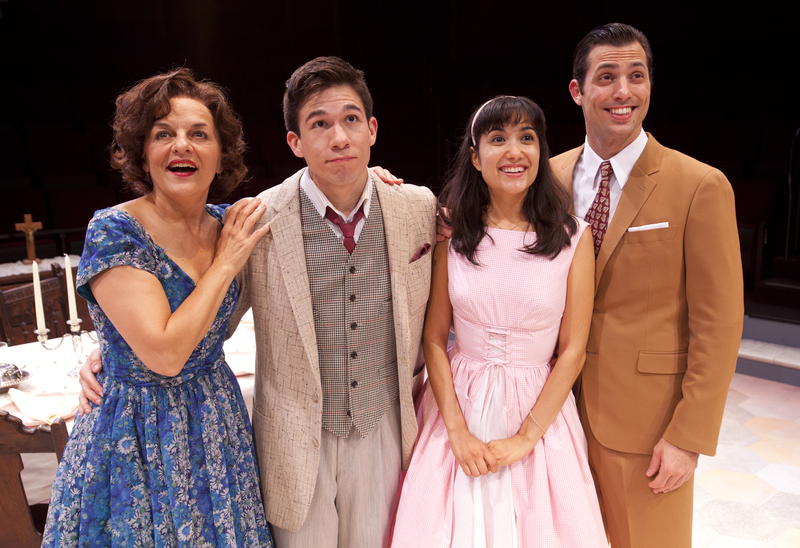 (from left) Juan Javier Cardenas, Benita Robledo, Priscilla Lopez, Jon Rua and Leo Ash Evens will appear in the World Premiere of Matthew Lopez's Somewhere, directed by Giovanna Sardelli, Sept. 24 - Oct. 30, 2011 at The Old Globe. Photo by Henry DiRocco. (from left) Benita Robledo, Juan Javier Cardenas, Jon Rua, Leo Ash Evens and Priscilla Lopez will appear in the World Premiere of Matthew Lopez's Somewhere, directed by Giovanna Sardelli, Sept. 24 - Oct. 30, 2011 at The Old Globe. Photo by Henry DiRocco. 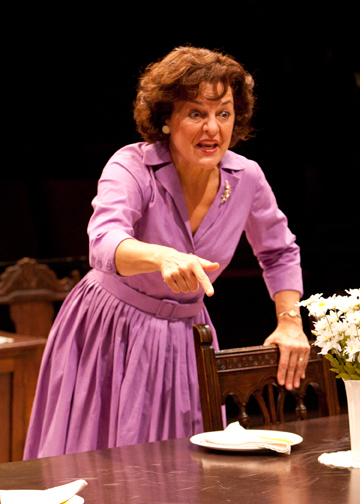 Priscilla Lopez stars as Inez Candelaria in the World Premiere of Matthew Lopez's Somewhere, directed by Giovanna Sardelli, Sept. 24 - Oct. 30, 2011 at The Old Globe. Photo by Henry DiRocco. 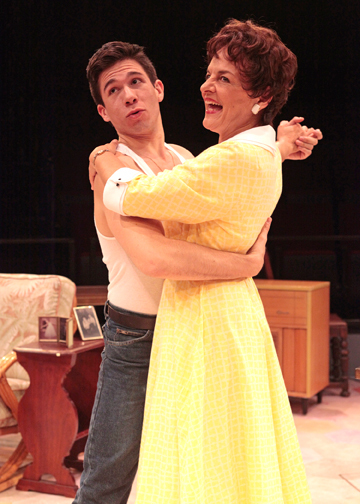 Priscilla Lopez with playwright (and nephew) Matthew Lopez. 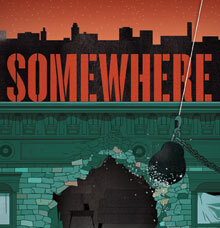 The World Premiere of Lopez's Somewhere, directed by Giovanna Sardelli, will run Sept. 24 - Oct. 30, 2011 at The Old Globe. Photo by Henry DiRocco. Director Giovanna Sardelli and playwright Matthew Lopez. The World Premiere of Lopez's Somewhere will run Sept. 24 - Oct. 30, 2011 at The Old Globe. Photo by Henry DiRocco. Playwright Matthew Lopez. 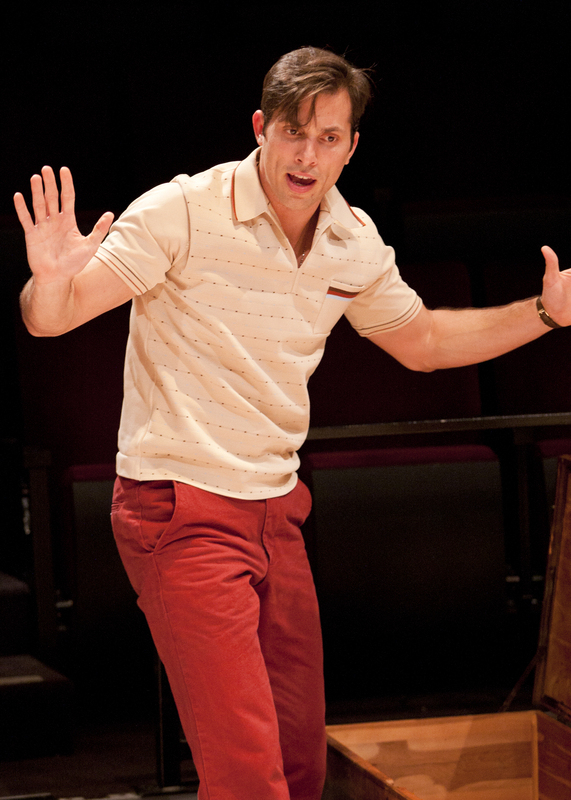 The World Premiere of his play Somewhere, directed by Giovanna Sardelli, will run Sept. 24 - Oct. 30, 2011 at The Old Globe. Photo by Henry DiRocco. 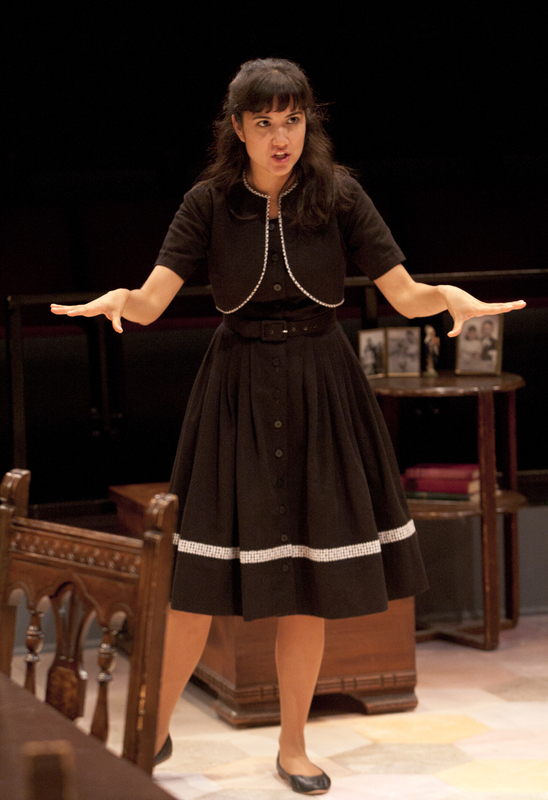 Giovanna Sardelli directs the World Premiere of Matthew Lopez's Somewhere, running Sept. 24 - Oct. 30, 2011 at The Old Globe. Photo by Henry DiRocco. (top, from left) Juan Javier Cardenas, Benita Robledo, Priscilla Lopez, Jon Rua and Leo Ash Evens with (bottom, from left) choreographer Greg Graham, director Giovanna Sardelli and playwright Matthew Lopez. 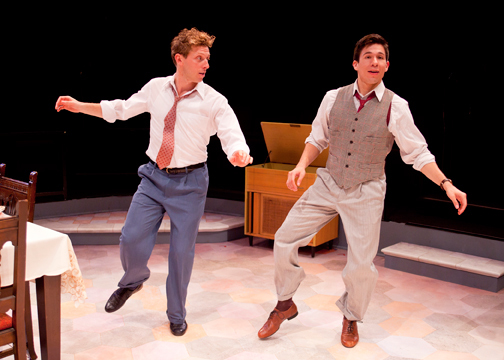 The World Premiere of Lopez's Somewhere will run Sept. 24 - Oct. 30, 2011 at The Old Globe. Photo by Henry DiRocco. (from left) choreographer Greg Graham, director Giovanna Sardelli and playwright Matthew Lopez. 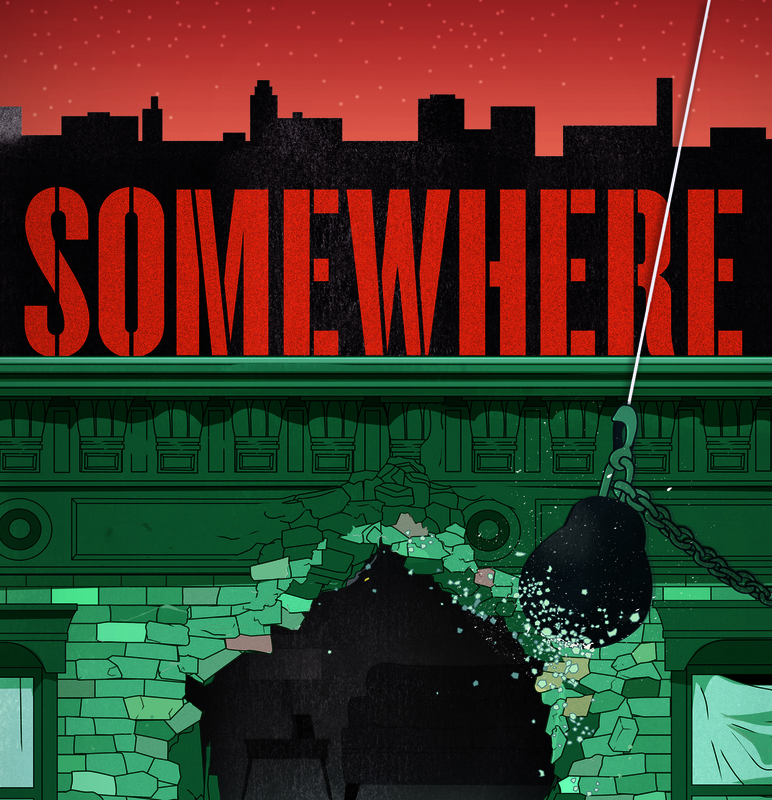 The World Premiere of Somewhere will run Sept. 24 - Oct. 30, 2011 at The Old Globe. Photo by Henry DiRocco. Matthew Lopez's Somewhere. Illustration courtesy of The Old Globe. Juan Javier Cardenas (Francisco Candelaria) is an alumnus of the Florida State University/Asolo Conservatory for Actor Training. His recent theatrical credits include Mickey in Evenings All Afternoon and Paul in AliceGraceAnon (New Georges), Reynaldo in Havana Journal, 2004 (INTAR Theatre), Raul in Back, Back, Back (Dallas Theater Center), Manuelo in Boleros for the Disenchanted (Huntington Theatre Company, IRNE Award nomination) and Alan Strang in Equus and Albert Adam in The Play's the Thing (Asolo Repertory Theatre). 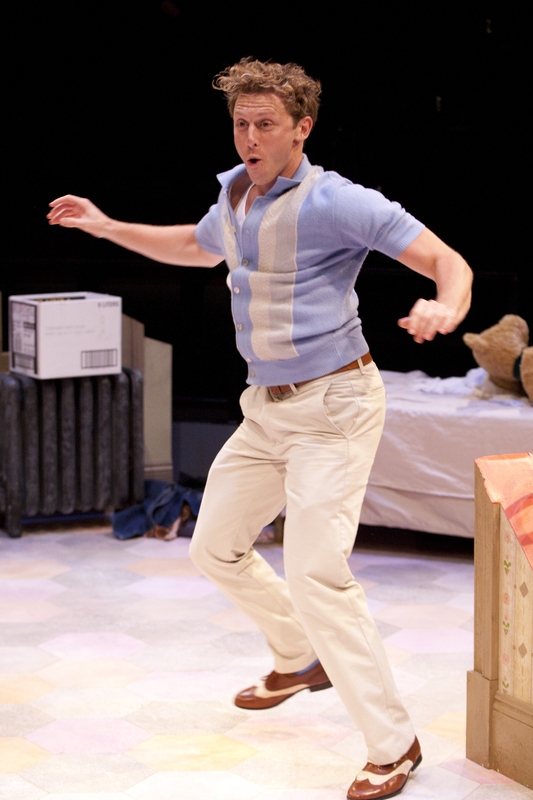 He has toured Russia (Lysander in A Midsummer Night’s Dream) and Greece (Corin and LeBeau in As You Like It), as well as the southern U.S. (Bazman in the world premiere of Lavender Lizards and Lilac Landmines: Layla’s Dream). He has appeared on television in programs such as “Blue Bloods,” “Law & Order: Special Victims Unit” and “The Good Wife,” as well as numerous independent films and commercials. 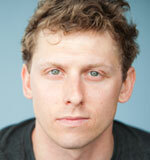 Leo Ash Evens (Jamie MacRae) is honored to make his Old Globe debut. Mr. Evens has worked in two of Jerome Robbins’ legacy musicals throughout his career, playing Riff in West Side Story in London’s West End, The 50th Anniversary U.S. Tour, Barrington Stage Company, Theatre Under The Stars and North Carolina Theatre. Evens received critical acclaim as Tulsa in Gypsy directed by Lonny Price and starring Patti LuPone (Ravinia Festival). He had the privilege of learning these shows from two of Jerome Robbins’ assistants: Alan Johnson and Bonnie Walker, both recreating original choreography. Recently, Evens won Best Actor in the Houston Excellence Awards for his performance of the Emcee in Cabaret at Theatre Under The Stars and reprised the role at Arvada Center. His Off Broadway credits include P.J. in Wanda’s World directed by Lynne Taylor Corbett, But I’m a Cheerleader, Going Down Swingin’, The Taxi Cabaret and most recently starring in the new tap musical Fingers and Toes (New York Musical Theatre Festival). His tours include Billy Lawlor in 42nd Street (Moscow), Disney’s On the Record and Casper: The Musical with Chita Rivera. 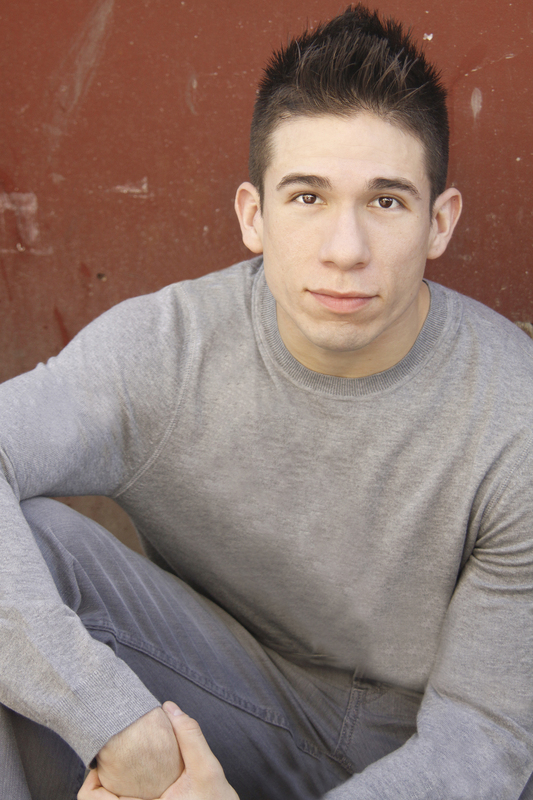 His regional credits include Mark in Rent (Weston Playhouse), Will Parker in Oklahoma! (Pittsburgh Civic Light Opera and Casa Mañana) and Jimmy in Thoroughly Modern Millie (Arvada Center). He received his B.F.A. from Carnegie Mellon University. In addition to acting, Evens coaches for Musical Theatre College Auditions (MTCA) and career coaches for professional actors. Priscilla Lopez (Inez Candelaria) was last seen on Broadway in the Tony Award-winning musical In the Heights. She previously appeared in Nilo Cruz's Pulitzer Prize-winning play Anna in the Tropics. She received a Tony Award as Best Featured Actress in a Musical for her portrayal as Harpo Marx in Broadway’s A Day in Hollywood/A Night in the Ukraine. 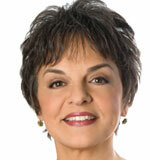 Her performance as the original Diana Morales in A Chorus Line led to an OBIE Award and a Tony nomination and introduced the songs “Nothing” and “What I Did for Love.” Her Broadway credits include The Sisters Rosensweig, Lysistrata, Pippin, Company, Her First Roman, Henry, Sweet Henry and Breakfast at Tiffany's. Her Off Broadway credits include Beauty of the Father, The Oldest Profession, newyorkers, Class Mothers '68 (Drama Desk Award nomination), The Passion of Friday Kahlo, Antigone in New York, Other People's Money, Extremities, Buck and Your Own Thing. She has appeared in Los Angeles and regionally in Irma la Douce, Vanities and Death and the Maiden. Her film credits include Maid in Manhattan as Jennifer Lopez's mother, Center Stage, Revenge of the Nerds II: Nerds in Paradise, Tony N' Tina's Wedding, The Miracle of Spanish Harlem and Musical Chairs. 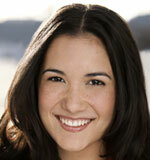 Benita Robledo (Rebecca Candelaria) is a graduate of the Acting Conservatory at Purchase College, SUNY. Some of her favorite television roles include the ambitious airhead Amalia on The CW’s “Gossip Girl,” the backpacking druggie Dreads on NBC’s “Kings” and the foul-mouthed kid sister Charlene on Comedy Central’s “Michael & Michael Have Issues.” Her films include Going the Distance, What Happens in Vegas and Every Day. Her theater credits include Rebecca Candelaria in Tio Pepe (Summer Play Festival at The Public Theater), Viola in Twelfth Night (The Storm Theatre) and the title rolein Linnea. Jon Rua (Alejandro Candelaria) and his commitment, versatility, perseverance and talent have accelerated his well-rounded career. He most recently originated the role of Twig in the world premiere of the new musical Bring It On: The Musical (Alliance Theatre). 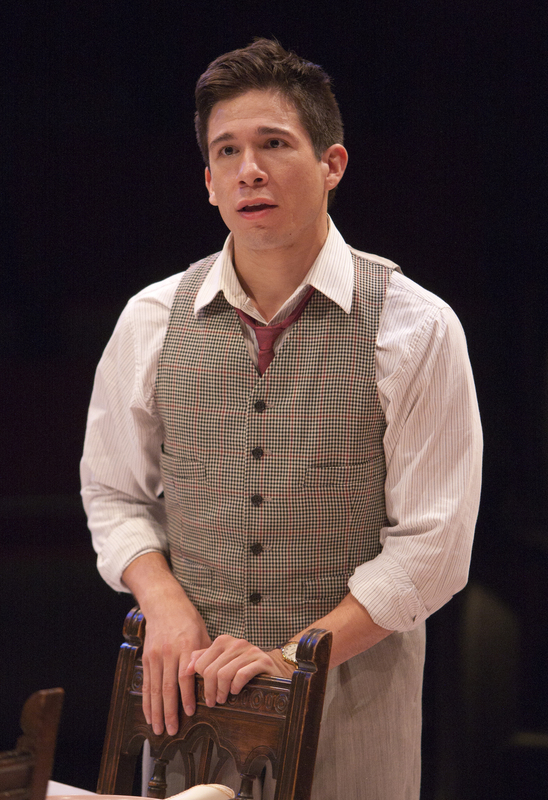 His Broadway credits include Sonny in In the Heights. Rua has performed with the likes of Sean Hayes, Jane Krakowski, Anthony Anderson, Lin-Manuel Miranda, Norbert Leo Butz, Tyne Daly and Jordin Sparks. His additional theater credits include The Elaborate Entrance of Chad Deity (Second Stage Theatre, Pulitzer Prize Finalist) and Damn Yankees (Encores!). 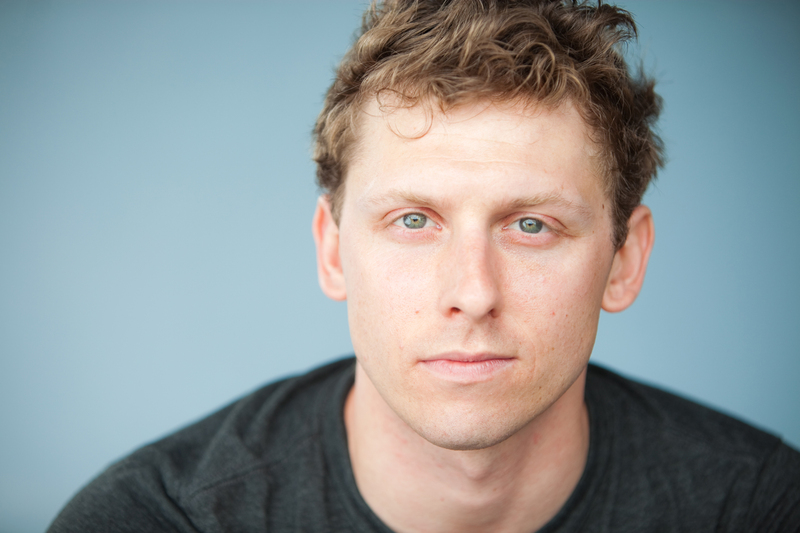 His workshops include Hands on a Hard Body (La Jolla Playhouse), Sundance Theatre Lab 2011 at The Banff Centre, Pan, Bare, Queen of the Stardust Ballroom and All Fall Down (INTAR Theatre) and Kingdom (The Public Theater). His television credits include “Law & Order.” Rua has danced for such artists as Don Omar, Soulja Boy and more. 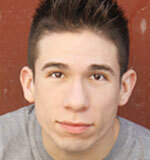 As a choreographer, his work has been seen on NCAA/NBA dance teams, CBS, MTV, Chaos Theory and Broadway Bares. 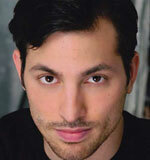 Rua has assisted as a choreographer on such projects as In the Heights, The Wiz (Encores! ), Bring It On: The Musical and Insanity. Currently he is on faculty at Broadway Dance Center in New York and has over seven years of experience teaching internationally. 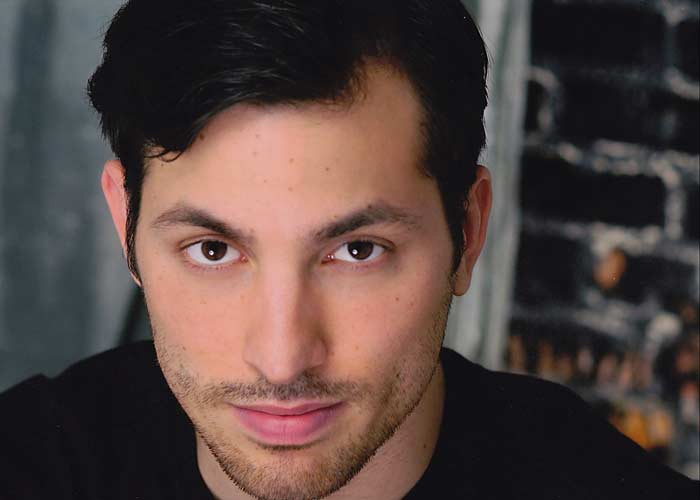 Matthew Lopez (Playwright) is currently the Playwright-in-Residence at The Old Globe. His play The Whipping Man received its West Coast Premiere here last season in a production directed by Giovanna Sardelli. Prior to that, the play had been seen at Luna Stage and Penumbra Theatre. The Whipping Man opened in New York earlier this year at Manhattan Theatre Club under the direction of Doug Hughes and starring Andre Braugher. Lopez was recently honored with the John Gassner Playwrighting Award from the New York Outer Critics Circle for The Whipping Man. It has become one of the more regularly-produced new American plays this season with productions planned at over a dozen theaters across the country including CENTERSTAGE, Hartford Stage and Northlight Theatre. He is a contributing writer to Headlong Theatre’s Decade project, a collection of short plays commemorating the 10th anniversary of the September 11 attacks, now running in London. He holds new play commissions from the Globe and from Roundabout Theatre Company, is a New York Theatre Workshop Usual Suspect and is a recent member of the Ars Nova Play Group. 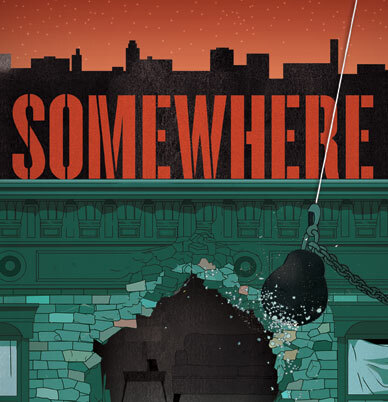 Somewhere was initially presented in a workshop production at Summer Play Festival at The Public Theater and fully developed at the Globe. His other plays include Reverberation and Zoey’s Perfect Wedding. He is currently adapting a musical version of the film Mad Hot Ballroom to be directed and choreographed by Jerry Mitchell. Giovanna Sardelli (Director) directed the West Coast Premiere of The Whipping Man by Matthew Lopez at the Globe (NAACP Theatre Award nomination for Best Director). She has directed the World Premieres of Rajiv Joseph’s plays The North Pool (TheatreWorks), Animals Out of Paper (Joe A. Callaway Award for Outstanding Director) and All This Intimacy (Second Stage Theatre), The Leopard and the Fox (AlterEgo Theatre Company), Huck & Holden (Cherry Lane Theatre), the New York Premiere of Lynn Rosen’s Apple Cove (Women’s Project), James McLindon’s Salvation (Hudson Stage Company), Christopher Wall’s Dreams of the Washer King (The Playwrights Realm), Lila Rose Kaplan’s Wildflower (Second Stage Theatre), Zoe Kazan’s Absalom (Actors Theatre of Louisville Humana Festival) and Adriana Sevan’s Taking Flight, which was developed at the Sundance Institute Theatre Lab and had its World Premiere at Center Theater Group. She spent two seasons as Director of the Shakespeare Sedona Institute and two seasons as the Artistic Director of Studio Tisch. Sardelli received her M.F.A. in Acting from the Graduate Acting Program at New York University and is a graduate of their Director’s Lab. She is on the faculty of the Graduate Acting Program and the Department of Dance at NYU. Her upcoming projects include God of Carnage (Hudson Stage Company) and the world premiere of Dead Accounts by Theresa Rebeck (Cincinnati Playhouse in the Park). Greg Graham (Choreographer) spent 12 years performing in Broadway productions such as Fosse, Chicago, Dirty Rotten Scoundrels and Hairspray and decided it was time to try his own venture into choreography. Following a successful showcase of his own choreography at New York City Center, he had the pleasure of creating works on ABC’s “Ugly Betty,” VH1’s “Celebrity Fit Club,” a Universal Pictures film entitled State of Play and Tio Pepe, a play at The Public Theater’s Summer Play Festival. For the last three years he has been with the Broadway production of Billy Elliot: The Musical as the Resident Choreographer as well as the Associate Choreographer for the national companies. Campbell Baird (Scenic Design) has designed for Broadway, Merrimack Repertory Theatre, North Shore Music Theatre, Roundabout Theatre Company, Texas Ballet Theater, Huntington Theatre Company, Nashville Ballet and companies as far afield as Bogota, Columbia and Seoul, South Korea. A career high point was Sonya with Julie Harris. He supervised numerous productions for his mentors Oliver Smith (including Fall River Legend at Covent Garden) and Desmond Heeley (this past season’s award-winning The Importance of Being Earnest). He has designed five national and international productions of West Side Story, three of them personally supervised by Jerome Robbins, giving him extra insight into the script for Somewhere. He was resident designer for Joffrey Ballet in New York City and was a scenic artist at The Metropolitan Opera for 15 seasons. He is an Associate Arts Professor at New York University’s Tisch School of the Arts, starting his 20th year teaching classes in theater and film history, costume drawing and presentation and scenic painting, among others. He served as a trustee for USA Local 829 and exam judge in scenic and costume design and scenic painting. He lives in New York City and Phillipsburg, New Jersey. Charlotte Devaux (Costume Design) designed the Globe productions of Welcome to Arroyo’s, The Last Romance, I Do! I Do!, The Price, Kingdom, Since Africa, Who’s Afraid of Virginia Woolf?, Trying, A Body of Water, The Prince of LA, I Just Stopped by to See the Man, Fiction, Two Sisters and a Piano, Blue/Orange, Splendour, All My Sons, Betrayal, The Santaland Diaries and Da. Her other credits include Miami Libre, Cuban Dance Musical, Adrienne Arsht Center for Performing Arts, Cabaret Dances, Nyumbani Project, Trolley Dances, San Diego Dance Theatre and 9 Parts of Desire (Mo’olelo Performing Arts Company). Her international credits include Dr. Livingstone, I Presume, London, Linnaeus and Prince of Flowers (Botanic Gardens, Christchurch, New Zealand and Sydney, Australia), Suburb and Twelfth Night (Christchurch Repertory Theatre) and Hopes, Dreams and Perditions (Court Theatre). She was the Associate Designer at the Christchurch Drama Theatre and former costume designer and stylist for TV Zealand’s children’s programming. As Resident Associate Costume Designer, she has assisted on over 35 productions including Robin and the 7 Hoods, Chita Rivera: The Dancer’s Life, A Catered Affair, The Times They Are A-Changin’, Dirty Rotten Scoundrels, Lucky Duck, Imaginary Friends, Dr. Seuss’ How The Grinch Stole Christmas! and the Summer Shakespeare Festival. Lap Chi Chu (Lighting Design) recently designed the Globe productions of Rafta, Rafta… and The Whipping Man. His New York City design credits include The Public Theater, New York Theatre Workshop, Second Stage Theatre, Dance Theater Workshop, Performance Space 122, The Kitchen, Danspace Project, Primary Stages and Juilliard Opera. His regional designs include work at Mark Taper Forum, Geffen Playhouse, Oregon Shakespeare Festival, Berkeley Repertory Theatre, La Jolla Playhouse, South Coast Repertory, Arena Stage, The Shakespeare Theatre Company, Hartford Stage, Huntington Theatre Company, Dallas Theater Center and Portland Center Stage. Chu is the lighting designer for ChameckiLerner (Visible Content, Hidden Forms, I Mutantes Seras and Please Don’t Leave Me), performed in the United States and Brazil. He has received multiple Bay Area Theatre Critics Circle Awards and a Drammy Award for Best Lighting. He holds degrees from Northwestern University and New York University. He teaches lighting design at California Institute of the Arts. Jeremy J. Lee (Sound Design) previously designed the Globe production of Death of a Salesman. His international credits include designing Continental Divide (London and Birmingham), associate designing Bridge Project 2010 World Tour and assistant designing Tarzan (Holland) and 42nd Street (Moscow). His Broadway credits include associate designer for Mary Stuart and Talk Radio. He has designed for the Off Broadway productions of The Ohmies, Into the Hazard [Henry 5] and Dance Dance Revolution (Les Freres Corbusier), The Thugs (Soho Repertory Theater), Song for New York (Mabou Mines), All the Wrong Reasons (New York Theatre Workshop) and Pretty Chin Up (LAByrinth Theater Company). Lee’s regional credits include American Conservatory Theater, Oregon Shakespeare Festival, Berkeley Repertory Theatre, La Jolla Playhouse, Signature Theatre Company, 5th Avenue Theatre and Sundance Institute. His awards include the Bay Area Theatre Critics Circle Award, Austin Critics’ Table Award and a Helen Hayes Award nomination. He also teaches at New York University’s Tisch School of the Arts. Elizabeth Stephens (Stage Manager) recently stage managed the Globe’s productions of Life of Riley and Plaid Tidings – A Special Holiday Edition of Forever Plaid. She has stage managed locally for North Coast Repertory Theatre, La Jolla Playhouse and Mo’olelo Performing Arts Company. Stephens was the Production Stage Manager for the San Diego Symphony for four years. She has also stage managed for Pasadena Playhouse, Seattle Repertory Theatre, Tennessee Repertory Theatre, Arizona Theatre Company and The Acting Company.